"Sometimes there is no darker place than our thoughts, the moonless midnight of the mind." There’s a strange and eerie stillness in the darkest of nighttime. Time seems to stand still and although your eyes may slowly adjust to a limited “night vision”, you are soon acutely aware of every little sound: a crunch of leaves... the far away screech of a hawk... a distant growl... To some unaccustomed to this experience it’s terrifying... to others, the heightened awareness is exhilarating. A plaintive oboe melody over dense dark harmonies in the low register convey the haunting stillness of midnight hours while outside observing nature. 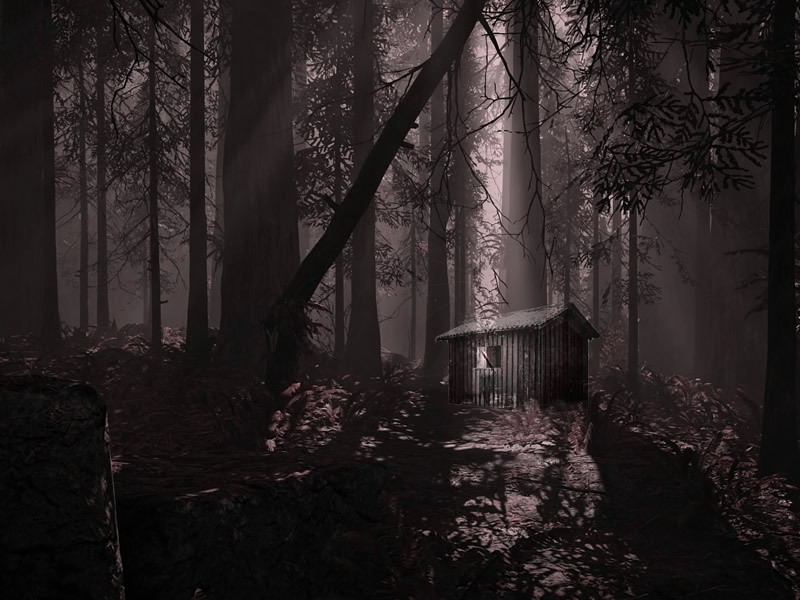 Occasional barely recognizable sounds in the distance add to the eerie sense of foreboding. Two minutes into the soundscape, the tempo picks up and random distant sounds of nocturnal birds are interspersed with footsteps crunching on a bed of dry leaves... The flute solo at the end is a custom patch I programmed on the Roland D50 and the solo was laid down in one take! Dean Ray Koontz (born 1945) is an American writer best known as a prolific and best-selling author of suspense novels.